ERASMUS + program covered: accommodation, pocket money, money for food, transportation, insurance, visa assistance, training during the project and learning the national language. Project details: Information about the organization: Foundation for Creative Space and Development CampoSfera was established in 2013 by 4 people who have been involved in 3rd sector activities for many years. The aim of Foundation CampoSfera is to initiate activities and projects that will connect education with sustainable development, ecology, and innovation. In August 2013, only 4 months after registration, the Foundation signed an agreement with the Sedziszow municipality in Swietokrzyskie voivodeship. Within the agreement, the Foundation has rented a building after a closed village school of 550m2 with the surrounding area of 1,3 ha for 25 years for the purpose of Foundation’s activities. The building has been renovated in mid-2014. The current state of the building allows the foundation to host groups up to 30 people for a longer period. The building is heated, it includes bedrooms, showers, toilets, training rooms, a kitchen, dining room, and a workshop. The volunteers we would like to host should, first of all, be willing to live and work in the rural area and not be afraid of physical and outdoor works. We would especially welcome people who are interested in ecology, permaculture, gardening, and/or working with the small local community in rural areas (especially kids and youth). Our main concern is that the volunteers will find the project interesting, personally developing, fruitful in terms of knowledge and skills and simply satisfying. In our opinion, people with the above-mentioned features and interest would feel most fulfilled. Foundation is a special place where you can find a place of solitude and calmness while working close to nature (especially in early spring and late autumn) but also a place where many people come and go and a lot happens (especially in summer). 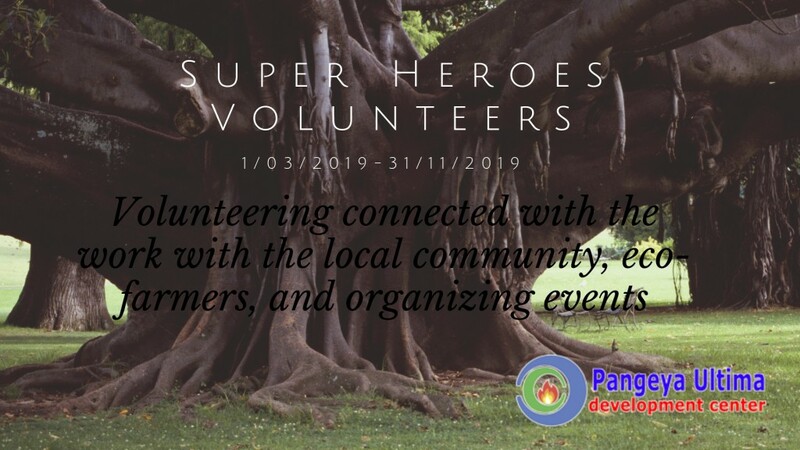 In CampoSfera the volunteers will have a chance to meet people from all over the world who come to volunteer for a shorter or longer period of time. In summer we organize a music festival for the local community and outdoor cinema. resource distribution and ecological solutions in everyday life. Send your CV and Motivation letter till 17.02.2019 to e-mail: [email protected]. In the title of e-mail write the title of the project. Candidates from Vinnytsia and the Vinnytsia region (including IDPs in Vinnytsia) will be given preference.